Manu Singh —joins us today from Tennis Cleveland. He is a software engineer and works as a project manager in his industry. He grew up in India and has been living in Ohio for the last 8 years. Besides tennis, he likes to play a lot of cricket. He's also a pretty good sketch artist, as you can see below. Hi Manu, and thanks for joining us. 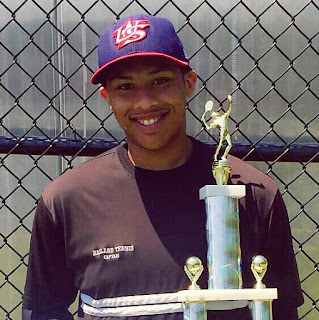 We want to share your thoughts and experiences playing in the Tennis Cleveland league, a division of the Tennis League Network franchise, and to learn a little more about you. Firstly, how long have you been playing tennis? What got you started and what has kept you going? 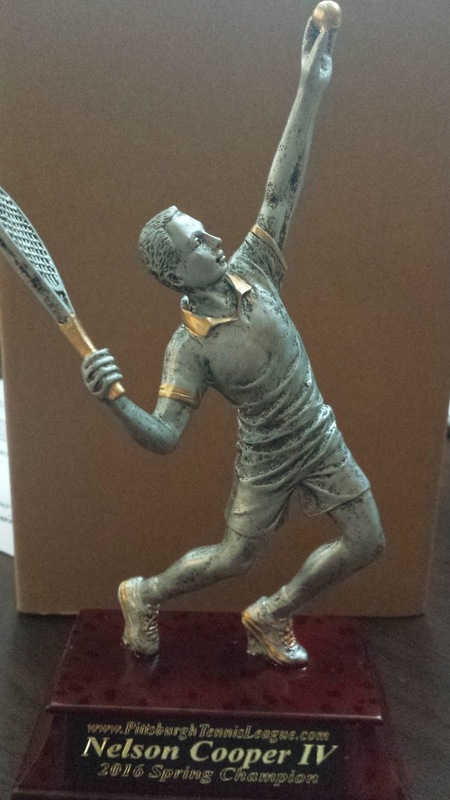 I used to play lots of cricket and never thought I could pickup tennis easily. My office colleagues used to play a lot when I was in Columbus. Luckily for me, I found a new friend who was really good at tennis. I started hitting with him and he gave me lots of tips and that's how I was able to pick it up. I never stopped playing after that. Tennis is so good. 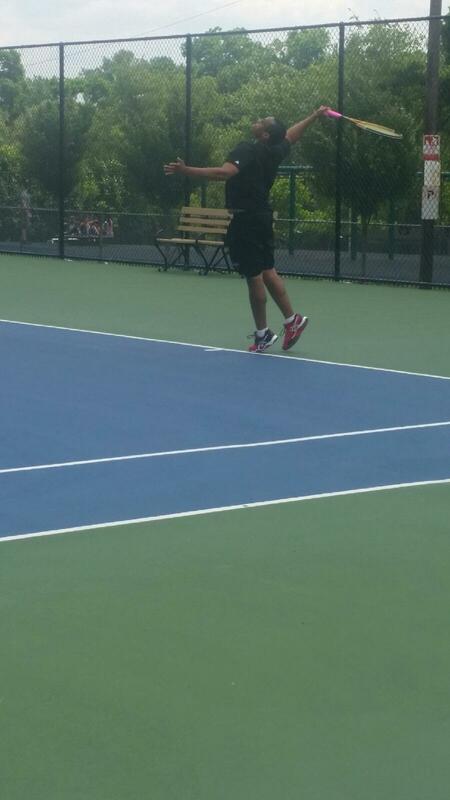 You get so much fun while playing tennis and lots of exercise as well. There is always the scope of improvement, and you can keep on challenging yourself. It's easy to schedule since you just need to find one person who is available compared to many other team sports. I am a member of the Tennis Cleveland league. I play at the Advanced level (4.0). I think that's the right rating for me right now. 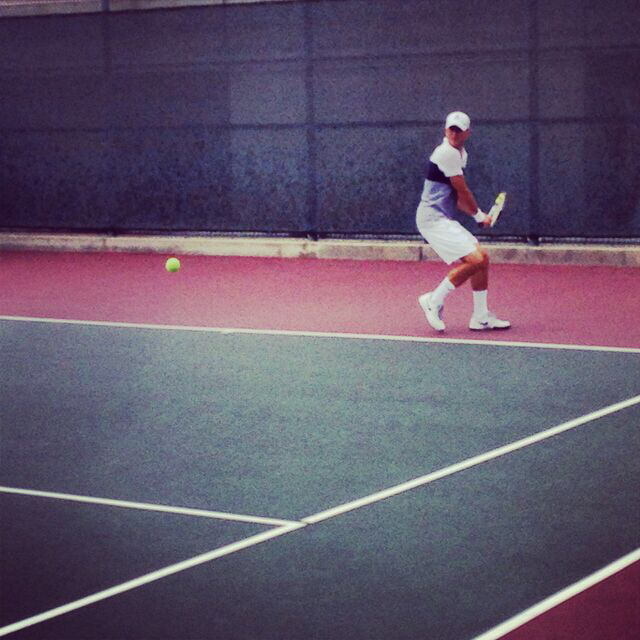 I still have to improve my second serves and backhand in order to compete against Elite players. I have been playing for the last 2 years now and I have absolutely loved it. I also referred many of my friends to the league. As of mid-July 2016 Manu has racked up an impressive 69-19 record. Mannu's Profile. I always wanted to play in this kind of league while I was in Columbus for 5 years, but I couldn't find any opportunity like this. 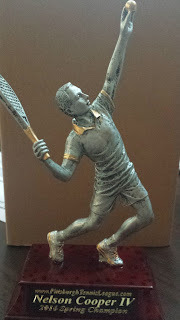 Then when I moved to Cleveland, I came to know about Tennis Cleveland through an online search through google :) I didn't waste any time and joined immediately. How often are you playing tennis? I like to play 3-4 times a week. Other days I like to hit the gym and play other sports. What do you like about the Tennis Cleveland? This league is just awesome from all the perspectives. I greatly appreciate the admin staff management of this league and he is so good with responses to all the queries. I am glad I found out so many good tennis buddies through Tennis Cleveland and I have enjoyed playing against those people. People are always on time, so friendly and well behaved. It has been an amazing experience. Thank you to the Tennis Cleveland Admin team. I will always cherish this experience. Now that you’ve played a couple dozen matches in the league, would you consider any of your Tennis Cleveland opponents rivals? I love to play against Erica Umpierrez. She is so tough and professional. She makes you run for every point and we always have amazing matches and good time on the courts. I have also enjoyed playing against Kyle Le, Chris Francy, Gheorghe Fartea, Brian Patrick and TC Hennessy. They are all amazing people to play with and are very competitive and have great sportsmanship. 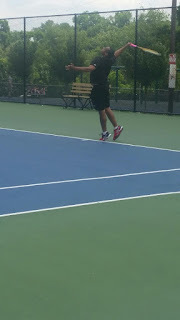 My most memorable match is against Kyle Le (Now my doubles partner too ). I met him for the first time last year when we were supposed to play the Tennis Ladder championship match. I knew he would be tough to beat and we had a very good match going to the third set. Luckily for me, I managed to win it. I was happy to pull it off against a very quality and tough opponent. It was amazing to play against him. I haven't won against him after that though, but we are doubles partners now, so that's good. My favorite players are Roger Federer and Rafael Nadal. Federer is just so classy and elegant. He makes so many excellent plays without any efforts. On the other hand Rafa has strong will power and he is a great fighter. He runs for everything. Even though they are not at their prime now, they will remain my favorite tennis stars. Manu, thank you again for taking the time to do this interview. And we'd love to see more sketches!